Regardless of if you’re planning a family break, a romantic escape with your partner or a solo adventure, Webjet offers plenty of great holiday packages to match both your budget and travel plans. 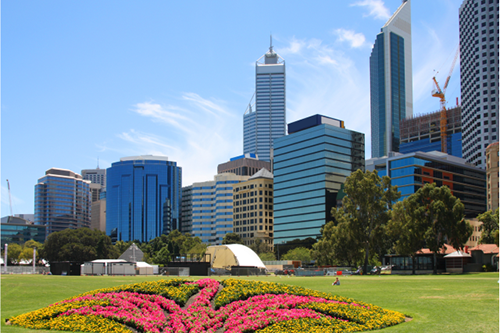 Set on Australia’s west coast, Perth is a laidback capital city with so much to offer. From beautiful beaches through to more than its fair share of great attractions, you’ll find no shortage of things to see, do and experience across the city. Soak up the stunning colours of an Indian Ocean sunset, shop up a storm in the city’s centre or take time out to wine and dine in one of Perth’s great restaurants and bars. Whether you’re looking to get back to nature or enjoy a taste of one of the country’s unique cities, you’ll find plenty of ways in which to while away the hours. Spanning from basic backpacker stays through to luxurious 5 star hotels in the heart of the city, Perth is home to a wide selection of accommodation options. Prepare the whole family for a day of adventure in a family suite or a spacious apartment, unwind amongst the luxe furnishings of a high end hotel or meet like minded travellers during a stay in a local hostel. Purchase your flights and accommodation in one of Webjet’s great holiday packages and enjoy savings that will help stretch your dollar further. Simply choose your travel dates, select your accommodation and save. Some packages are accompanied by additional inclusions, such as free wireless internet, full breakfasts and free valet parking, offering even more reasons to book with Webjet.